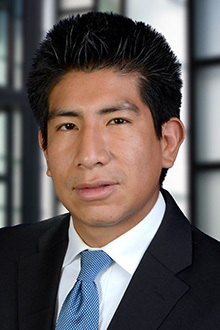 Oliver J. Vega is an associate in the New York office of Lewis Brisbois and a member of the General Liability Practice. Mr. Vega has experience in the areas of construction litigation, premises liability, complex commercial litigation and complex insurance coverage disputes from inception to end. He has represented construction companies, general contractors, ownership entities, insurance companies, corporations and others. He also has experience in mass torts, toxic/environmental torts, property damage, contractual disputes and general counsel matters involving real estate, finance, corporate and employment law. Mr. Vega was a paralegal for six years prior to becoming a law clerk and went to law school at night after work. Further, he has assisted legal aid societies in Immigration Court during the juvenile docket by screening juveniles in danger of deportation.